This is what it’s truly all about. Hello and happy Sunday to everyone. As I mentioned briefly last week, tutoring for the company that I currently provide services for was preparing to shut down for the summer of 2012 . Well everyone, it ended this past Thursday. On this last day of tutoring, I got a special surprise. Picking one of my youngsters up to head to the library to complete our final session, he handed me this beautiful card. Actually, there’s a picture of it directly above the words of this blog. I”m not sure if everyone can make the words out but,what the heck…I up-loaded it anyway. 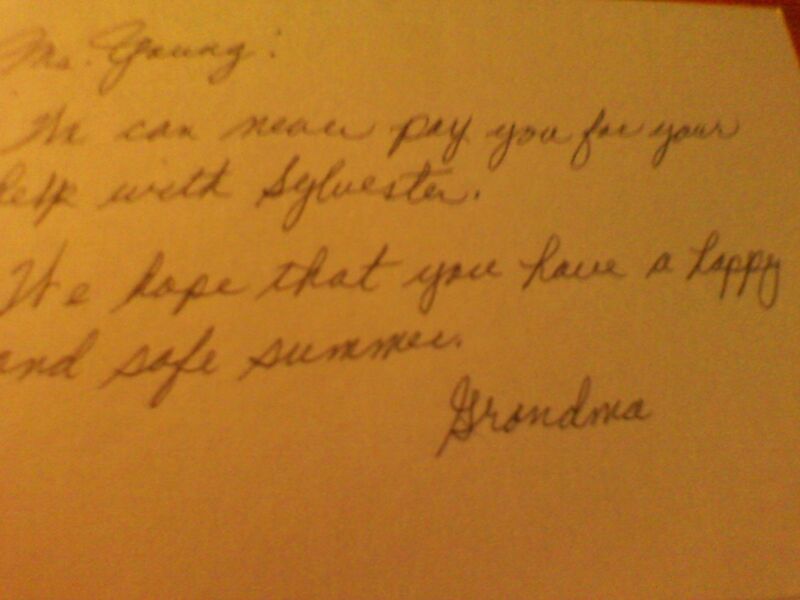 For those having complications with reading the card, the head of the family, “Grandma” stated the following, “We can never pay you for your help with Sylvester….have a safe and happy summer.” Reading this card made me instantly hold my head up with pride. When you’ve been working with the youth a token of appreciation such as the one above is priceless. Thanks “Grandma” for reminding me of why I do what I do. This is what it’s truly all about. Why does all the fun stuff have to end so soon? While participating in a professional developement session this morning, a sudden thought entered my mind. I started tutoring the week of June 25th. Today is July 23rd and tutoring comes to a screeching holt July 26th. I am really going to miss the youngsters I had a chance to teach over these past four weeks. I truly hope that I made a difference with the time allotment provided. More importantly, I truly enjoyed learning how to adapt to the way these youngsters learned best. Well, there is a few more weeks left to this terrific yet busy summer of mines. Really looking forward to what happens at the Detroit Impact Center this Wednesday. How is everyone on this super Sunday? Yes it’s a hot one in the Detroit region today. Even as I write this blog it is still in the high 80’s close to 9pm. Wow! Despite the fact that I am suppose to be on summer break, I am prepping myself to attend a lesson plan workshop at my school in the morning. The work of an educator, priceless! 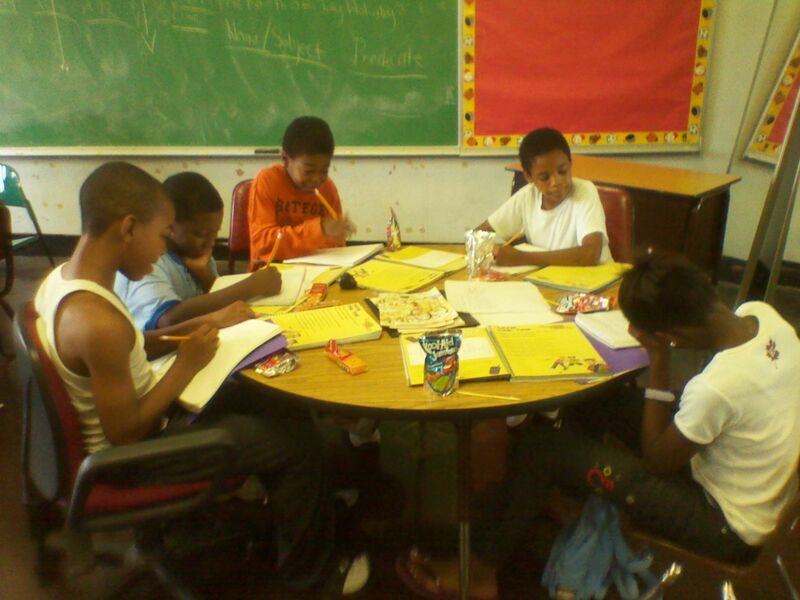 Last Wednesday made the second week of my socialization skills program at the Detroit Impact. Our session for the week was how to handle overwhelming secrets. The first thing we did as a group was determine the difference between appropriate and inappropriate secrets. We discussed various scenarios such as abuse, homelessness, and not being able to read. The young adults were asked what they would do if they had friends who asked them to keep the situations listed above a secret. Some said they would definitely not keep any abuse a secret. Others mentioned that they would keep the homelessness factor under the table. A few mentioned that they would simply assist and tutor their illiterate friends with reading without ever letting it get out to anyone else. As I mentioned last week, this 2012 group is dedicated to addressing real life issues and solving them correctly. This weeks session will be based upon handling disappointments in life. Looking forward to sharing with everyone how it goes. Hello everyone. 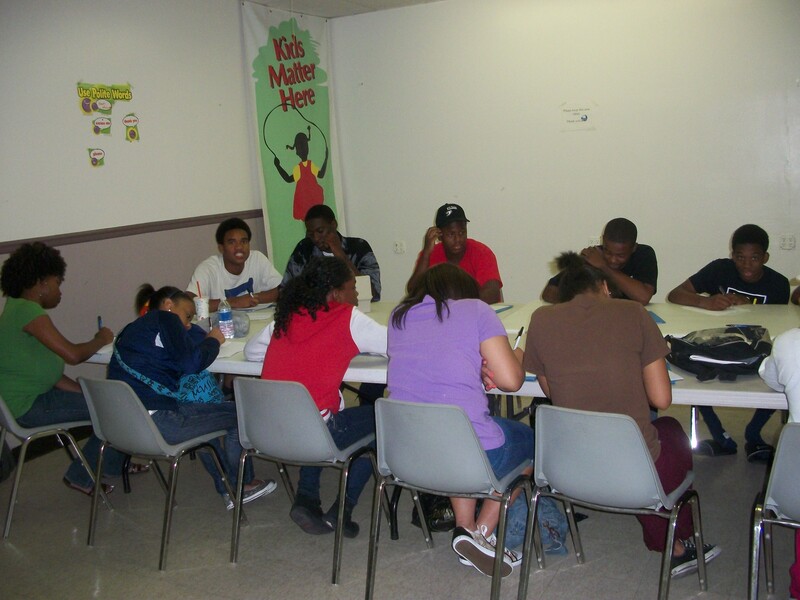 Yesterday was the official kickoff for my 2012 Socialization Skills program at the Detroit Impact Center. I must admit that walking into a crowd of youngsters ranging from the ages of 14-19 gave me the butterflies just a little bit. Normally, I service 10 youngsters per hour. Yesterday, I serviced all 22 pupils within a two-hour time frame. The first thing we addressed was fear and how it often keeps us all from reaching our fullest potential. I started it off by letting the group know how servicing everyone at the same time resulted to me allowing fear to set in however, I refuse to let it get in the way of me providing the weekly social dynamic. After providing my demonstration, all 22 students had an opportunity to share what their personal biggest fear in life was. Within one hour of the session a major break through took place. 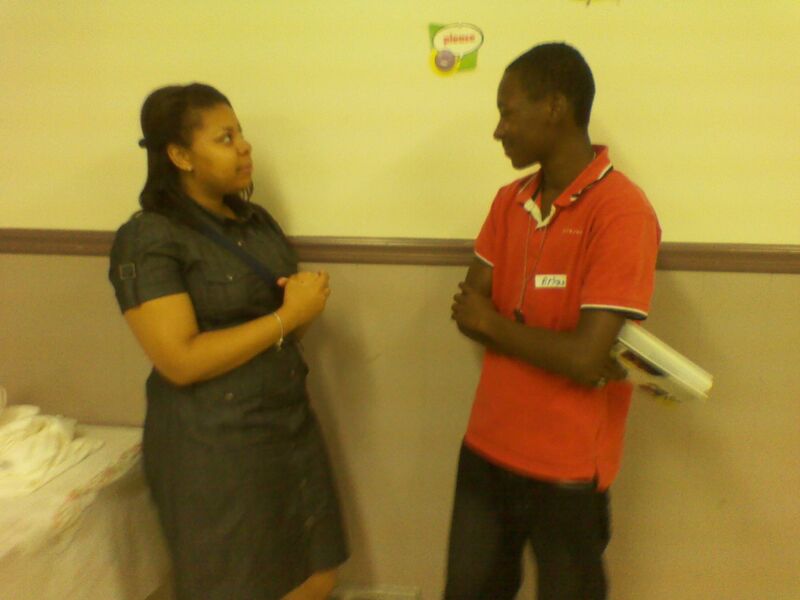 Directly afterwards, we discussed our first social dynamic for the week. The “Big A” also known as abandonment impacts many youngsters today in so many ways. After defining what it meant, I started off the session by asking everyone had they ever experienced it before. Two pupils raised their hands to indicate yes. I read several monologues pertaining to abandonment from my first book, The Everyday Living of Children and Teens Monologues. Together as a group we did some dialogue on those monologues. It was one amazing session. The question was posed again at the end of the session. This time at least 18 youngsters put their hands up. What makes this 2012 group different from any other group I’ve had is that they have courage. From what I see so far, facing the truth will not be a difficult task for them at all. Hello everyone. I hope that everyone had a safe and wonderful Fourth of July Holiday. After completing my re-certification course at Detroit’s own beautiful Belle Isle, I started tutoring the Detroit youth that following Wednesday. Although it’s only my second week, I’m proud of the breakthrough I noticed with my male students. 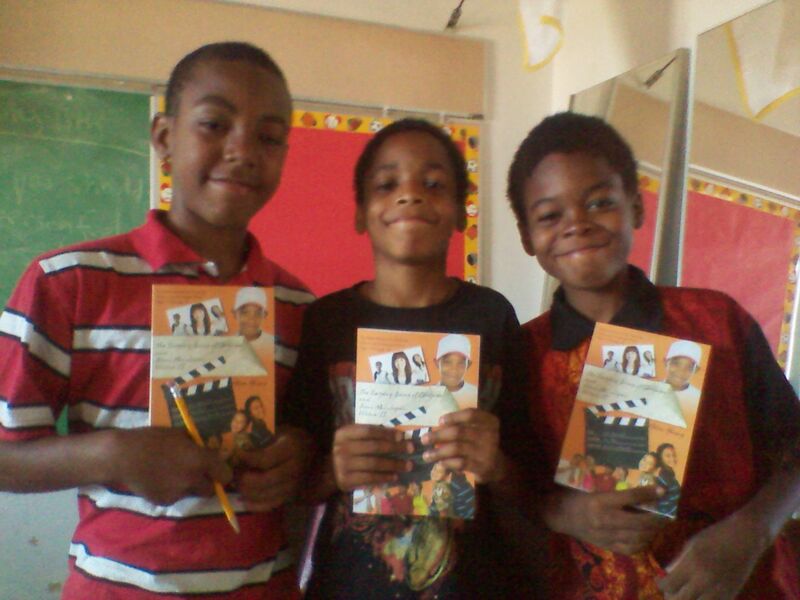 They have embraced writing and they seem to love it. Typically, it is the female students that enjoy it. After showing them how to write a paragraph correctly using the ” Five Point Inspection System” they can’t seem to get enough of paragraph writing passages. Way to go boys! On another great note, I start back my Socialization Skills program back at the Detroit Impact Center Wednesday July 11th. I will follow-up with another blog posting letting everyone know how the first session goes next week. You are currently browsing the Adra's Educational Blog blog archives for July, 2012.